Every day, your practice dedicates itself to making people better, to ensure that they remain in good health and live long happy lives. You should want the same thing for your practice. In order for your practice to help others, it has to function healthily itself, and it can’t do that with struggling profit margins caused by late payments. In order to allow your practice to perform at its peak, it is imperative to try and collect all the payments owed to you. While that may be near impossible, given the real-world state of uncollected patient payments, you can at the very least gesture toward a more effective system of collection. With a policy in place to steer patients toward early payment; with a flexible, varied number of payment options; with clear and open communication about payment; and with pre-screening for coverage, you can help ensure that payments are not late. And with Summit A*R’s unique, professional approach to medical collection, payments that are overdue can be recovered without alienating the patient – visit our homepage to learn more. Here are six tips your practice can use for collecting payments from patients. Perhaps the single biggest catalyst in affecting a shift toward faster and more reliable payments is your front desk. Often the first face greeting your patients as they walk in, and the last person they see on the way out, your front desk is the de facto ambassador of the practice, and as such can be very effective in collecting payment. But they need training. Discussing payment with patients requires a deft touch, a professional, empathetic and matter-of-fact breakdown of the cost and the patient’s options for payment. Understand that often patients at your practice are already a little on edge – a medical office, after all, can be an emotional and anxious space. Having your front desk speak empathetically about possible financial troubles, while still being matter-of-fact about the need for payment, requires training. To build off the point above, open communication is key in this process. 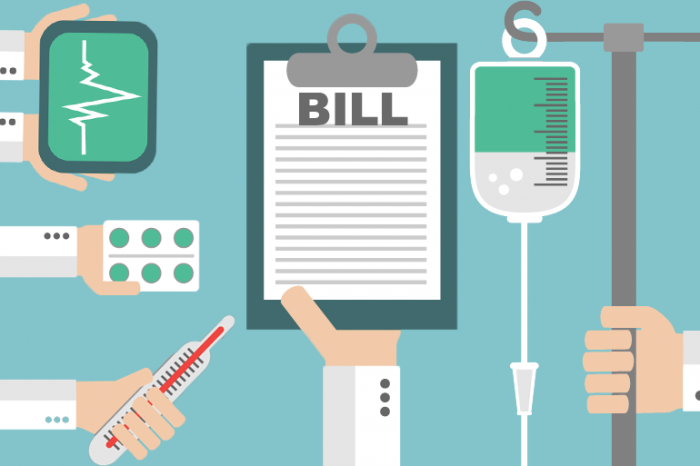 When patients misunderstand their bills, they might be less likely to pay them. The items on a medical bill can, at times, look as though they are written in a foreign language – or, worse, look like they are tacked on simply to fleece the patient. You know this isn’t the case, but you need to be able to account for the items on a medical bill, in layman’s terms. A statement of financial responsibility for your client, buried under other paperwork, is no way to communicate what is required of them. Take the time upfront, and you will likely be rewarded with faster and more reliable payments down the road. So, you have discussed a payment policy in clear and understandable terms – now, it is all about making it as easy as possible for the client to pay. If you tell the patient that you don’t accept their card, then you have given them a wonderful excuse to delay payment… perhaps indefinitely. Most Americans use a variety of payment methods for their bills; you should, therefore, make yourself as open and receiving as possible to the full breadth of methods. If you are able, consider implementing a payment plan system. Only do so if you are able to effectively monitor the accounts. Otherwise, you might simply wind up with overdue payments that you have completely lost track of. There is an old adage in the world of car dealerships that an automobile loses a significant amount of its value the moment it drives off the lot. This isn’t to say that patients are cars, but it makes for a handy analogy: the moment the patient leaves your practice, it can become exponentially more difficult to recover the full amount owed to you. Again, this loops back to the first point here about training staff properly. Educate your staff on the importance of collecting early. You might even consider incentivizing staff to collect payments on-site. The sooner you can collect, the better. There is nothing wrong with payment reminders, but make sure they are polite and non-judgmental. You want to retain the patient, ideally, so there is no sense in alienating them with harsh follow-ups. If you have explained their financial responsibility to them clearly, and have taken the time to make them understand the breakdown of why everything costs what it does, your patient will want to pay. It might simply be that they can’t right now, in which case a gentle reminder is always preferable to a stern one. Ideally, the moment you have any doubt about collecting the full payment, you should contact Summit A*R. With over 20 years of experience in recovering struggling profit margins, we are well versed in how to approach patients diplomatically and effectively. We use 100% HIPAA-compliant practices and have an A+ rating with the Better Business Bureau. More than that, we believe in preserving the dignity of those patients we collect from, ensuring they can remain a patient of yours. But the bottom line for you is that we have recovery rates double the national average. At any point in our debt recovery efforts, you can see our progress, since we believe in a completely transparent process. It is entirely possible to do everything right in proactively attempting to collect on a bill, and still come up against overdue payments. In these instances, we are your best line of defence. You can call us to learn more about debt collection in your state, or visit our State Resource Center through our website. Help your practice help others. Ensure that you collect all the payments owed to you, in a timely and reliable fashion, and operate your practice as efficiently as possible. Follow the above tips, training your practice’s staff in payment communication, and consult one of our collection experts today to get started.